Off the field, the Ohio State football team has been surrounded in drama. On the field, however, progress is being made in the preparation for this season, which will begin in less than two weeks. At least, that’s what acting head coach Ryan Day’s latest training camp update would indicate. While a head coach isn’t going to tell everyone the weaknesses of their team going into the season, it’s still interesting to see what the staff have said about their players at this point in the offseason. The update goes through all of the team’s position groups, starting with the one that everyone pays the most attention to, quarterback. “In our entire room, we have zero collegiate starts,” Day began, referencing the graduation of multi-year starter J.T. Barrett. Replacing Barrett, of course, won’t be an easy task considering the fact that he threw for just short of 9,500 yards across his four year career with the Buckeyes. Haskins, who was the backup to J.T. Barrett last season, received some game time but has zero starts. He’s believed to be the favorite for the starting job, and was the number seven pro-style quarterback coming out of high school in the 2016 class. The younger Tate Martell, on the other hand, was the second ranked dual threat QB in the class of 2017. The quarterback competition isn’t the only one going on right now. “Thayer Munford and Josh Alabi have been competing for the starting left tackle spot while Brady Taylor, Michael Jordan, and Josh Myers have all been taking snaps at center,” Day wrote. 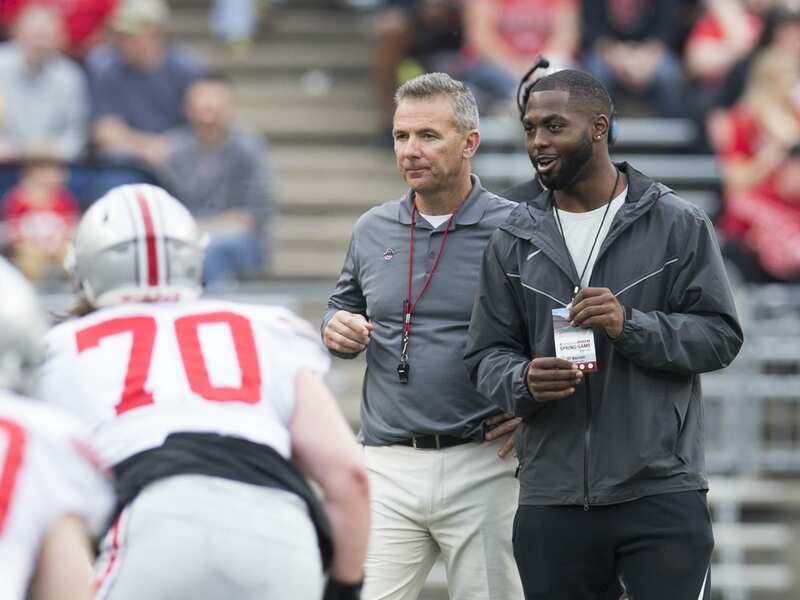 The positive report from training camp comes at a time when many are doubting the Buckeyes, because of the ongoing investigation involving Urban Meyer. Still, they take a very talented roster into the season, whether or not Meyer makes it to their first game in September. Should The New York Giants Pursue QB Teddy Bridgewater?